All great wizards have one thing in common; the have a commanding beard. We've come to realize that a good portion of casting magical spells is about having a facial hair that you can rely on. So, what if you want to start casting spells now? It can take weeks for a good beard to set in and you might need to bust out some Lord of the Rings-style sorcery right now! Don't fret! 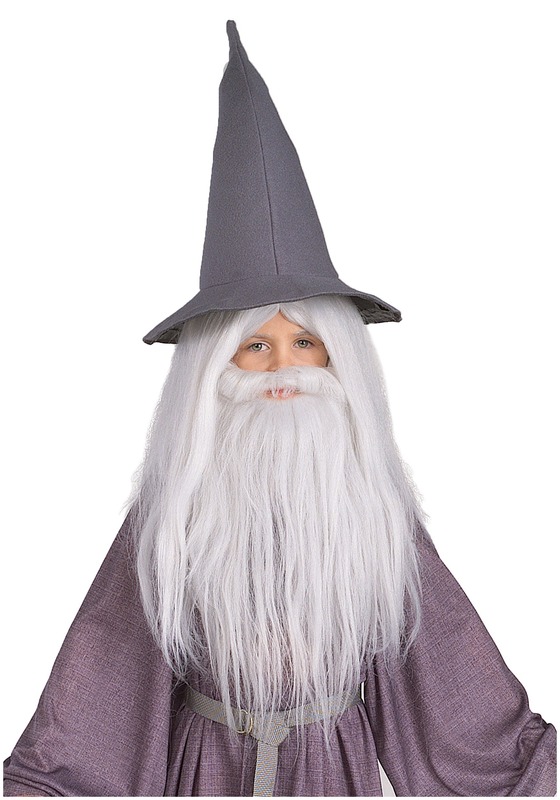 This Gandalf Beard and Wig Set for kids gives you the look of the wizened Middle-earth wizard, so you can draw on it for your magical power. We have yet learned how to harvest its magical energies, but maybe you'll have a better time learning the ins and outs of sorcery.